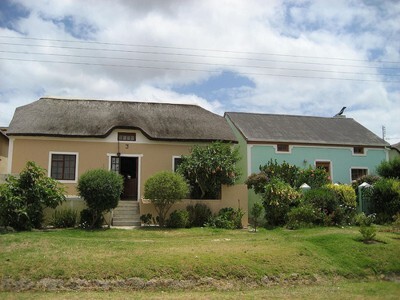 Elim is where the first Monument in memory of emancipated slaves was built in South Africa. The entire village is owned by the Moravian church. The church has an angel as a weather vane. 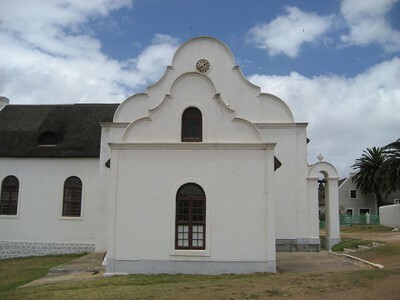 The interior of the Cape Dutch style church is completely white. It has the oldest working clock in South Africa. It is 240 years old. The clock has 2 faces, one on either side of the building, that work off one mechanism. The working water mill, which used to grind the flour for the local bakery, was restored to its original state and declared a national monument in 1974. Most of the men in the village are thatchers who thatch houses all over the world. Guests are always welcome at church services. Easter is a very important celebration in the village and many who have left to seek their fortune outside of the village return for these celebrations. The entire village is a Heritage Site. Although Elim cold meats were originally from Elim, the fleischmeister moved the business to Malmesbury. So Elim cold cuts are not actually from Elim. The Elim Winegrowers were the first wine ward to work together and market their wines collectively. There is a rich musical tradition in the community and the Elim Brass Band often plays at church services and festivals. The organ in the church is magnificent and was brought from Three Anchor Bay in the mid 60s. There are no crucifixes in the church as the community believe that they carry the cross inside their hearts. 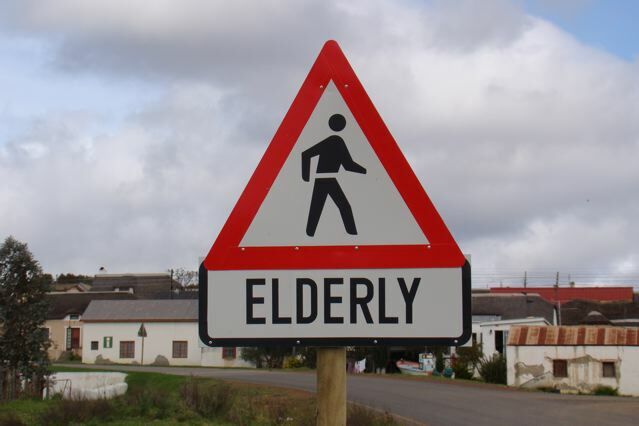 Elim is part of the Nuwejaars Wetland Special Management Area where, in 2009 buffalo, hippo and hartebees were reintroduced to the Agulhas Plain after having been extinct from the area for 200 odd years. The Nuwejaars Nature Reserve is a section 21 company that takes care of the Nuwejaars Wetland Special Management Area. It is a unique collaboration between local landowners and the Elim community to protect their very precious natural heritage. The way in which they work towards conserving their land, fighting climate change, farming sustainably and uplifting all who live there; is inspiring to say the least.